Urbanization is a highly transformative force in Finland. Our seven biggest urban centers are projected to grow by one million new residents by 2050 thanks to rural-to-urban migration, the geography of natural population growth and immigration. This means cities are facing a need to find strategies for realizing about half a million new dwellings already by 2030. Many policy-makers probably experience this as dark clouds on their horizons. That’s because housing production is already seriously lagging behind the volumes of urban growth in those cities. Especially in Helsinki affordable housing has truly become a scarce resource as real estate prices are constantly climbing when the demand just keeps on getting bigger. Land use is a big factor in the equation. Sprawling out is not so much of a thing anymore and the demand is high around urban cores and well-serviced transit nodes. Consequently, cities have found themselves looking for pathways to grow inwards. In theory, there is no problem at all. Especially our suburbs are so replete with underperforming space that it’s not even funny. But in reality, we are struggling to make it happen. The problem is that many of our institutions (and developers as well) are not fine-tuned to understand the spirit of today’s urban development patterns. Densification and intensification plans have a throng of hurdles to clear: from clashes between generations over the nature of urban life to stalling planning bureaucracy and NIMBY participation. This obsolete office building can’t be retrofitted into apartments in Helsinki’s highly sought-after inner city. The reason? The road next to it is too busy according to environmental regulations. However, you’re very welcome to live next door in a premium-priced apartment. And just when you thought things couldn’t get any more intense, they did. Finland may experience the arrival of 30 000 asylum-seekers just this year in Europe’s ongoing refugee crisis. The wildest estimates suggest that we should prepare for the arrival of as much as 200 000 migrants over the next few years. This humanitarian crisis is absolutely heartbreaking and basic necessities and assistance is the primary concern right now. Cities and municipalities have their hands full with opening obsolete hospitals, schools and other facilities to make sure there’s a roof and acceptable conditions for all of those arriving. Indeed, the critical situation is creating momentum to act. Besides local administrations, also individuals, communities and enterprises are responding. People are volunteering, an initiative to help refugees become start-up entrepreneurs got launched, and even our Prime Minister’s family promised to open their second home near Oulu to accommodate asylum-seekers. 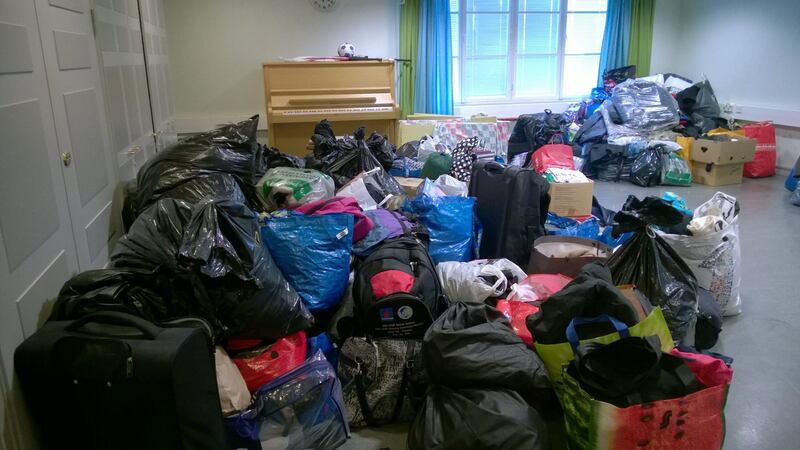 Helsinkiers have been so keen to donate clothes, toys and other stuff to refugees that the local reception centers have needed to stop accepting things. Instead, they now need volunteers to sort though everything. Photo source: Paavalin seurakunta FB page. All examples are pure greatness. However, what I’m wondering as a strategic urban planner is whether this momentum for finding solutions under a sense of urgency could ultimately be extended to transforming some of our urban policies? A little discussed aspect of the refugee influx is that it’s not just the concern of national policy-making. It’s also very much an item for urban policy. It’s estimated that about half of the asylum seekers are going to stay in Finland. At this early stage they’re being organized into facilities around the country. But let’s face it; the majority of immigrants traveling to Finland (and Europe) have their eyes on the bigger cities where they have access to networks, job opportunities and urban amenities. We Finns are doing the exact same thing. Amid an already existing housing shortage under a regulatory regime that is “so comprehensive that it is impossible even to make a cookie for sale without a certified kitchen, an accessible bathroom, and constant inspections”, like Andrés Duany characterizes the American planning system, the possibility to navigate unexplored avenues for doing things in urban planning I think is a point worth discussing. Developments around the refugee crisis and other crises around the world suggest that this is not utopia. Spain has recently seen city leaders take action in pushing forward policies to increase the availability of housing. The country is suffering from a huge financial crisis born need to offer affordable homes – a need which has escalated with the advent of the refugee crisis. Ironically, Spain is simultaneously full of bank-owned empty homes thanks to a real estate bubble. It has been a long-debated issue whether to transform some of them into social housing. Coincidence or not, just a few days ago Barcelona’s mayor finally started enforcing a law set a couple of years ago and began to fine banks for empty homes on their books. Similar types of interventions or ambitions have sparked in Madrid and Valencia as well. 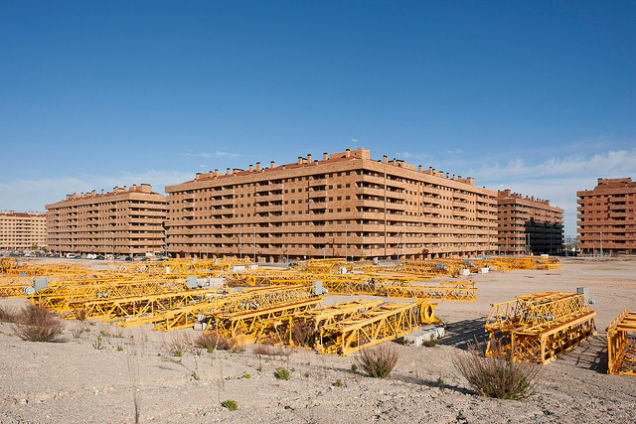 The 2008 Financial Crisis left Spain full of empty and unfinished homes. Photo source: jcctech.blogspot.fi. 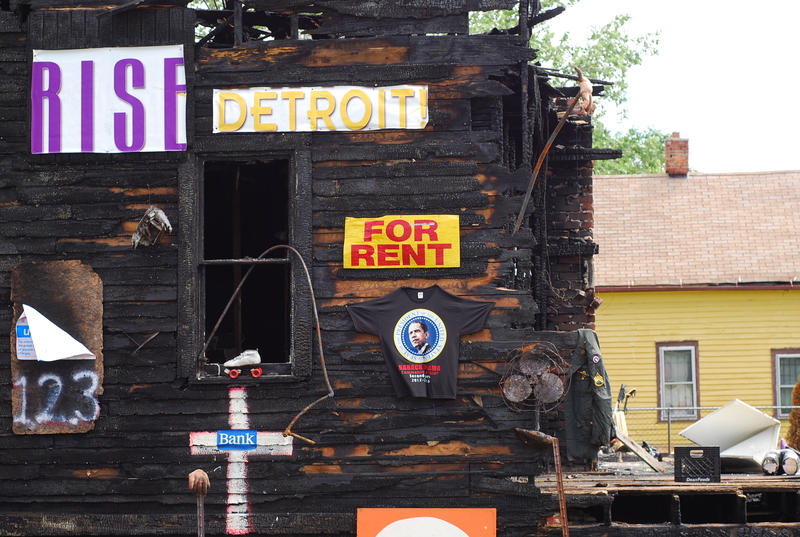 In places, Detroit is just happening. Photo source: Hipster Nurse. Fascinating, right? Maybe there indeed is something that could happen in this corner of the world as well to ease our housing shortages and make our urban policy much leaner than it is today. I have a few more or less immediate actions in mind that Finnish city leaders could start working on right away. First, there’s redeveloping empty office space into housing (or other uses). Due to a change in the nature of work and the geography of innovation, today’s enterprises need smaller office spaces and in different places than those we’ve built during the past decades. 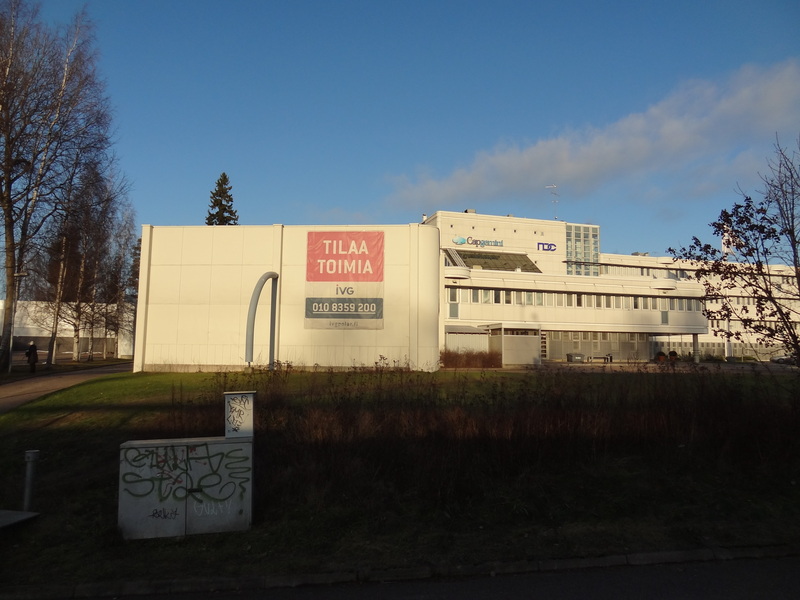 The suburban city of Espoo has a lot of empty office space and very little urban amenities. As a result, just the Helsinki Capital Region holds one million square meters of vacant office space. The vacancy figure is closer to two million square million (ca. 1.7m) if you add empty retail spaces, warehouses and the like to the mix. Some of this vast amount of empty indoor space is also in locations where it could – with minor adjustments – beautifully serve as housing as well. That is, if it wasn’t for the required bureaucratic procedures and demands such as changing the land use, acquiring approval from different administrative bodies, complying with the regulations governing the new land use, and so forth. I’m not saying all empty office should be turned into housing. But where it makes sense, it’s now a task too time consuming and expensive to accomplish that it’s usually not worth it. This ought to be changed. Second, infill development could be advanced via the introduction of temporary housing structures using shipping containers or wooden cubes like innovated in the Paracity concept. Once cities have exhausted their resource of easy-to-spot facilities for sheltering asylum-seekers, they could bend the rulebook to stage a whole series of small-scale tactical interventions by building inexpensive “container villages” to provide spaces for those waiting for their asylum application to be processed. And these could strategically be concentrated in locations where permanent infill development would be smart to achieve. Berlin has already implemented the “container village” approach for immediate refugee housing. Photo source: bglbb.blogsport.de. Paracity is an innovation by Casagrande Laboratory. Essentially, an organic grid of wooden cubes that can be used as the skeletons for DIY architecture. Cheap, quick and flexible. While of course fulfilling the necessary humanitarian obligations, this approach would allow residents to experience how their neighborhood could change if new permanent buildings were constructed. Different types of real-world experiments in the built environment around the world have been successful in helping to win public approval as people can see the effects for themselves. Finland is no exception where this couldn’t happen. It’s definitely worth trying to make people understand that new development in their backyard is not such a big deal after all. Third, the requirement to find new solutions and listen to the needs of people could make working with refugees the perfect opportunity to start learning for a future culture of co-creation in city building. My buddies from Kitev, Aalto University and IPoP are already extending the action of just finding and offering facilities for asylum-seekers into the direction of co-creation in their new project “Refugees for Co-Creative Cities”. The team’s ambition is to help refugees in the Ruhr area find their position in the public sphere through including them in the process of reshaping abandoned buildings into welcome spaces. Essentially, this is a practice in co-creating the urban environment. Please note that the Refugees for Co-Creative Cities project is compiling a catalog of interesting cases of refugee accommodation and are grateful for any tips you may have. Follow this link to share your knowledge! 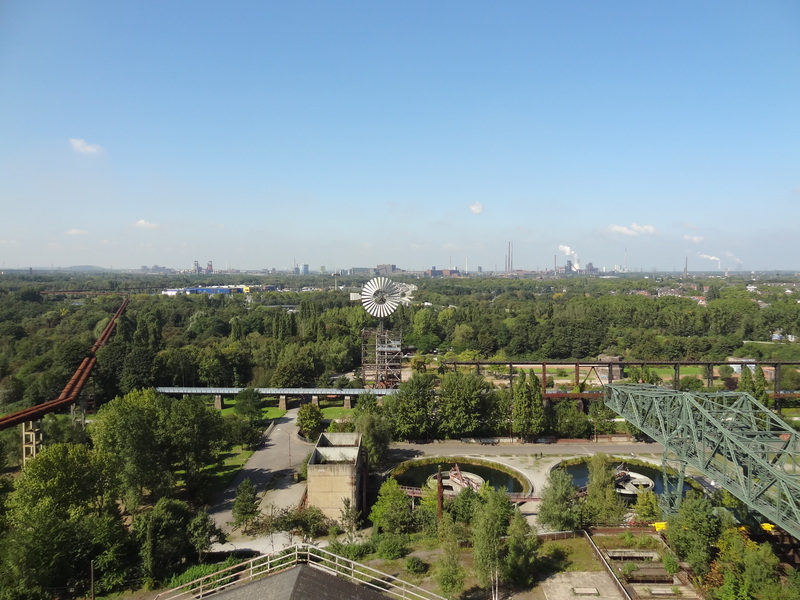 The Ruhr area in Germany has plenty of obsolete industrial spaces for redevelopment. And that’s just the kind of practice we could also benefit from when solving our housing crisis. Under the banner of ‘housing shortage’, Finnish cities are especially short of high-density, mixed-use environments which cater for urban lifestyles. Increasingly, there is less hostility towards density within the planning profession, but we’re lacking in know-how for making quality urbanism happen even when we want to. Co-creating environments with urbanists for urbanists in a world where people are increasingly equipped with a kind of do-it-yourself spirit and interest in solving societal problems on their own due to non-responsive participation practices wouldn’t be such a bad idea to begin with, in my opinion. Europe’s refugee crisis is obviously above all other things a humanitarian crisis and our attention needs to be in emergency assistance and maintaining human dignity. But there’s also ground for analyzing where humanitarian policies and urban development goals overlap. In the best scenario, we could experiment with new methods of city-shaping to discover more pragmatic and smarter ways for improving cities to everyone’s benefit. The outgoing American ambassador left partly because of frustration with Finns’ inflexibility over policies, processes and systems, it seems. He spent a lot of time lecturing and doing workshops to try to get Finnish policymakers to figure this out. 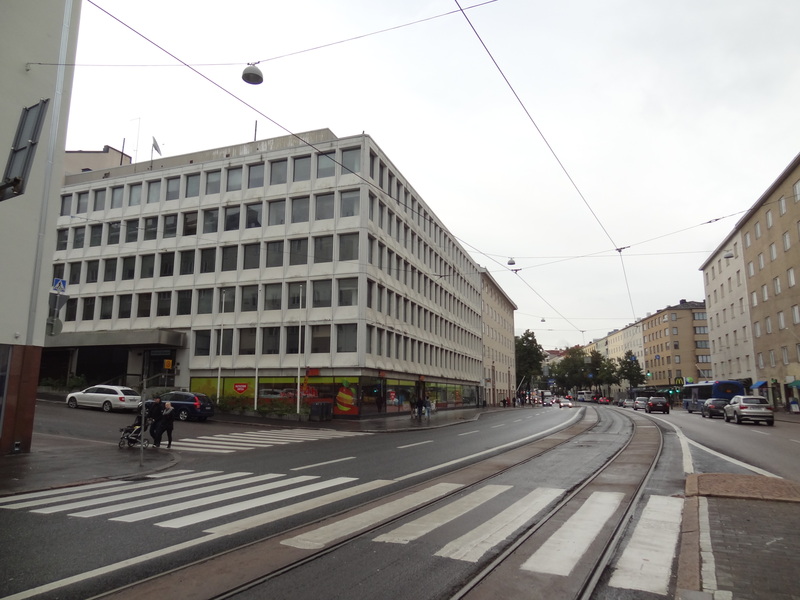 The building mentioned first in this blog is a case in point: for gawd’s sake, Helsinki, just re-zone the building as residential, make owning and parking cars prohibited (just to take care of street congestion; who needs a car in Helsinki anyway?) and the hell with the wealthy landlord next door and his complaints that it is unfair. When you have a crisis, you have to nimbly innovate and CHANGE. It seems Finns aren’t as nimble as they need to be in this regard. The ambassador didn’t leave because of his frustrations, and he hasn’t actually quite left at all. US ambassadors are customarily appointed for three years or so, and Bruce Oreck actually served as ambassador in Finland for a year longer than planned, because president Obama couldn’t get his replacement appointed due to opposition in Washington (arguably Republican obstructionism). Oreck has bought an apartment in Helsinki and is spending part of his time in Finland even after the ambassadorship, to lecture at Aalto University among other things. That’s not to say he hasn’t certainly moaned about the Finnish bureaucracy and offered all kinds of unsolicited advice on the city planning of Helsinki. I think shipping containers as accomodation has been proposed, just hasn’t been implemented at a large enough scale.